View More In Helmets & Accessories. 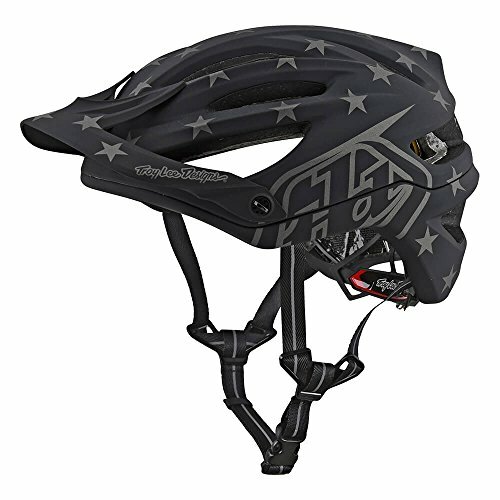 Full-faced helmets have their place on rowdy lift laps and jumps, but some days aren't as extreme, so it's good to have a Troy Lee Designs A2 MIPS Helmet waiting in the wings. Building on a well-earned reputation for hard-hitting motocross and gravity protection, the A2 transitions protection to lighter duty trails with massive venting, ample coverage, and MIPS technology to keep you cool under duress. With 25% more ventilation than that found on TLD's venerable A1 helmet, the A2 MIPS promotes cooling airflow and encourages constant air movement across your dome. A removable, soft and plushy X-Static Pure Silver liner sits comfortably against your head, fending off the stink produced by bacteria and drying quickly to keep you cool. Not to ignore fit, the A2 MIPS helmet incorporates a three-position adjustable retention system for a custom, easily dialed fit. If you have any questions about this product by Troy Lee Designs, contact us by completing and submitting the form below. If you are looking for a specif part number, please include it with your message.